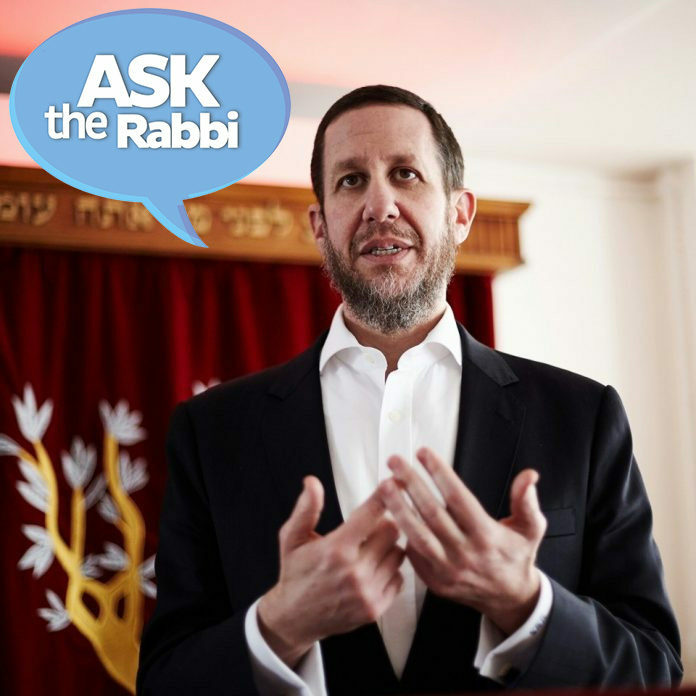 Ask The Rabbi – Was Burying Remains of Holocaust Victims Really Necessary? Was Burying Remains of Holocaust Victims Really Necessary? I don’t mean to be rude or disrespectful in any way but I watched with wonderment the burial of the ashes of the six Holocaust victims last Sunday. At running the risk of sounding cynical, I can appreciate the need to bury bodies, but these are just ash that was lying in a basement of some museum. Was all that pomp and splendour really necessary or was it more for show and perhaps even a community endeavour? The Rabbi thought to himself: “Look how much this woman already knows, judging by her question: She evidently knows that Judaism views the human body with reverence. Otherwise, she wouldn’t ask what she should do with the grime on her window that may be the remnants of human beings.” And he wondered: “Where did this woman, who probably does not keep kosher, and who is probably not shomer Shabbat, and who probably doesn’t know much about the rest of Jewish law, where did she learn this truth, that Judaism reveres the body?” He determined that she learnt it from watching the news on television, because what do they show on television right after every terrorist act in Israel? They show pictures of bearded men wearing yellow flak jackets who gather the bodies, and the parts of bodies; the shards and the mangled scraps of bodies that terrorist bombs have torn apart; they look under cars and under busses, and on bushes and on walls, until they find every single scrap of tissue and every single piece of the person that they can. They make sure that these pieces of what were once human beings get a proper burial because human beings are made in the image of G-d, and therefore, their bodies are sacred, as well as their souls. The Rabbi stopped and thought and then gave her an answer off the top of his head. This is what he said to her: “You’re right. This is what you have to do. Take a paper towel and warm water, and carefully wipe the windows clean, as clean as you can. Then carefully put the towels into an envelope, and take it to a Jewish funeral home, and ask them to bury them the next time they have a funeral.” The woman nodded, and she thanked him. And that is precisely what she did. That is your answer Cyril. They are more than mere ashes. They are the holy remains of six Jews – holy because they died for no reason other than the fact that they were Jewish; and holy because they are the remains of human beings once animated by a soul and an extension of the Divine, and, like the grime on the woman in Manhattan’s window, what was, is, and will always remain holy. The event was a great glorification of G-d’s name in that it demonstrated how we revere life even after death, and the souls of those six precious Jews can now properly rest in peace. Does Judaism Believe in Original Sin? According to Jewish understanding what was the original sin committed by Adam and Eve? Was it a sin of the flesh or is it to be taken literally to consider the first sin as eating from the forbidden tree? The notion of “original sin” implies that man is inherently sinful on account of that first episode. Judaism forcefully rejects this and believes that man enters the world with a soul that is pure and untainted. But to give you a little insight into that all original event: After creating heaven and earth, G-d created Adam and Eve. And the first thing he said was “don’t!” “Don’t what?” Adam asked. “Don’t eat the forbidden fruit.” “Forbidden fruit? We have forbidden fruit? Hey Eve, we have forbidden fruit” “No Way!” “Yes way” “Do not eat the fruit!” repeated G-d.”Why?” “Because I am your Father and I said so!” G-d replied, wondering why He hadn’t stopped creation after making the elephants. A few minutes later, G-d saw His children having an apple break and boy was He angry. “Didn’t I tell you not to eat the fruit?” Adam pointed to Eve. “She started it!” “Did not!” “Did too!” “Did not!” Having had it with the two of them, G-d’s punishment was that Adam and Eve should have children of their own. Thus the pattern was set and it has never changed ever since.